Sunday, April 17, will be the last day of skiing and riding on the Warm Springs side of Bald Mountain, Sun Valley Resort announced Monday. Dollar Mountain’s last day of the season will be Sunday, April 3, and the River Run side of Bald Mountain will close Sunday, April 10. Plenty of activities are planned to celebrate the 2015-16 winter season. Getting the weekend rolling March 31 to April 2 will be the 19th annual Sun Valley Ski Education Foundation JANSS Pro-Am Classic with a gala dinner, hospitality tent at Warm Springs, cocktail reception, live music and costumed ski racing. 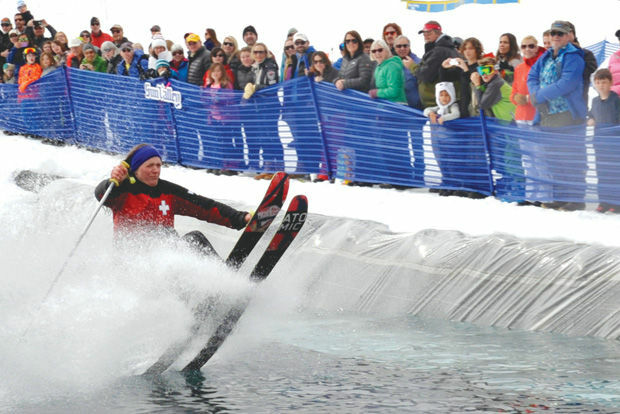 Dollar Mountain will host the Dollar Dayz and Pond Skim on Sunday, April 3. This spring tradition celebrates antics, costumes and daring skiers and riders trying to make it across the “cold bowl.” Participants can register for free the day of the event starting at 9 a.m., with the competition starting at 11:30 a.m. There will be a barbecue and specials on the deck of Carol’s Dollar Mountain Lodge.